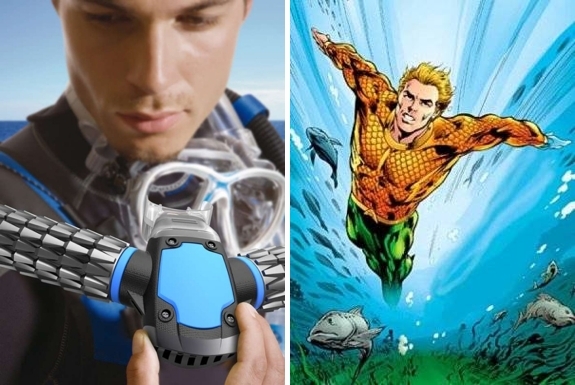 Being able to breath underwater, à la Aquaman, sounds like a made-up superpower. But it needn’t remain the stuff of pure science fiction. After all, fish manage to breath underwater. And some, like the lungfish, are adept at breathing air too. Theoretically, for a human to breath underwater all that’s required would be some sort of gill-like system. Enter Jeabyun Yeon, a student at the Samsung Art And Design Institute, who thinks he’s come up with exactly that. 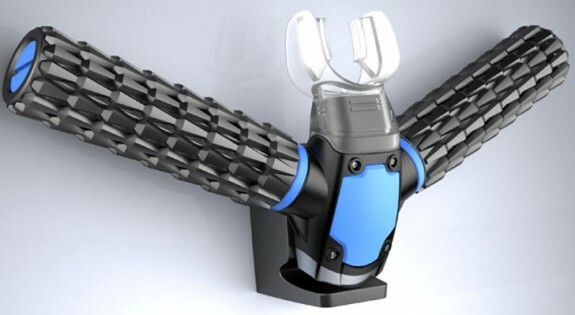 Dubbed the Triton Oxygen Respirator, Yeon’s design features miniature artificial gills extending out from a mouthpiece. It extracts oxygen under water through a filter in the form of fine threads with holes smaller than water molecules. Using a very small but powerful micro compressor, it compresses oxygen and stores the extracted oxygen in storage tank. The micro compressor operates through micro battery. The micro battery is a next-generation technology with a size 30 times smaller than current battery that can quickly charge 1,000 times faster. Unsurprisingly, the blogosphere has been running wild with claims that “a new invention looks set to revolusionise (sic) Scuba and diving in general,” as one site declared, by “turning people into fish,” as another explained. Not to, um, throw cold water on the Triton but when you take an, er, in depth look, it is impossible for the oxygen respirator to work. At least not in anything like the current design. The problem is that, while air contains around 200,000 parts per million of oxygen, the amount of dissolved oxygen in water is only about 4 to 8 parts per million (depending on the depth and other factors). This is why gills are so large relative to the size of the fish — they need all that surface area to gather enough oxygen. For an artificial gill to provide enough oxygen for a human to breath, it would need to extract the oxygen from somewhere between 25 and 50 gallons (95 to 190 liters) of ocean water every minute. Even if the Triton were powerful enough to process salt water faster than a real fish could, for 25 to 50 gallons of water to flow past its gill area the wearer would have to continuously swim as fast as Aquaman. And even if one could swim so quickly, one would expend so much oxygen in the effort that it would ruin the point. But for scuba divers dreaming of ditching their current cumbersome compressed air tanks, there is hope. 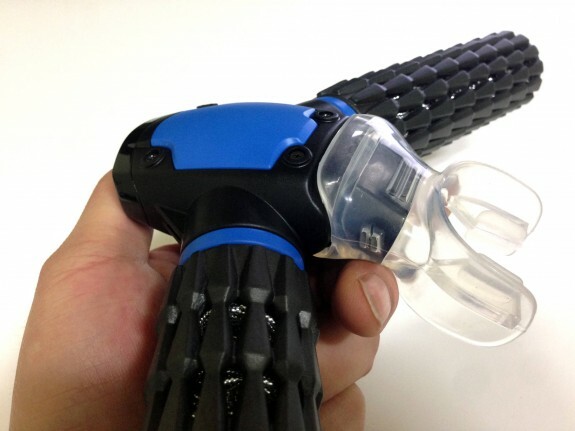 A handful of organizations have been working on real-life artificial gills. At least one, the Israel-based Like-A-Fish company, has a working prototype. It works via a centrifuge that rapidly rotates sea water inside a small sealed chamber strapped to a diver’s back. The rotation creates a pressure that releases the oxygen (thanks to Henry’s law). 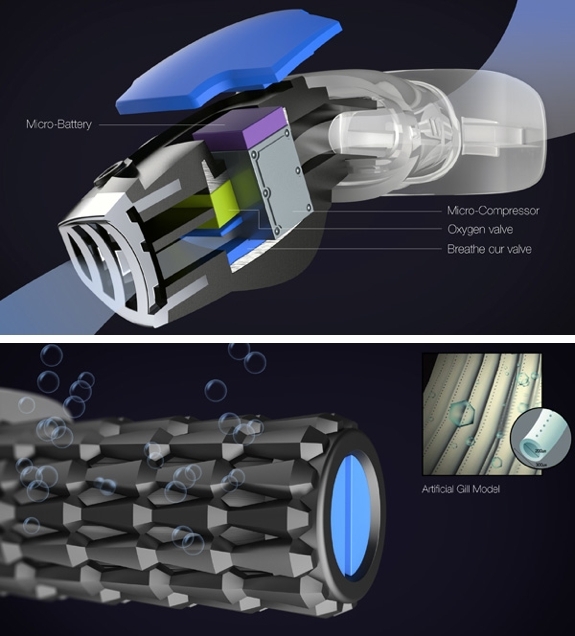 The Like-A-Fish artificial gill uses a one-kilo Lithium battery to power the system for an hour. And, unlike the Triton Oxygen Respirator, the Lika-A-Fish design include an emergency oxygen supply. The company has drawn serious interest from the Israeli Navy and private investors. So wannabe Aquaman can legitimately look forward to artificial gills becoming reality within a decade or two. As for the ability to telepathically communicate with animals, people, it seems, have been working on that too. Excellent analysis! I saw this on anything site. They made it sound like this thing was going to be in the stores tomorrow.